APRI Registered Pointing Lab Pups! Are you looking for a versatile upland and waterfowl hunting dog? 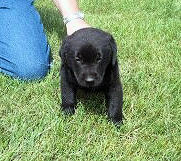 Then one of our lab pups might be right for you. Both parents of these pups are excellent retrievers and strong upland dogs. The sire has strong endurance that will last all day on hunting trips. The pups will be started on pheasant wings when they are ready to go to their new home. These pups should have tremendous hunting potential, have strong natural abilities, and be of ease to train in the field! Dewclaws removed. All shots will be current when you take your pup home. Currently we do not have any lab pups available. 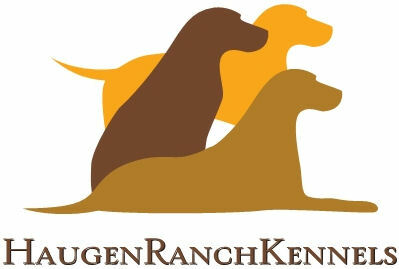 Copyright Haugen Ranch Kennels. All rights reserved.